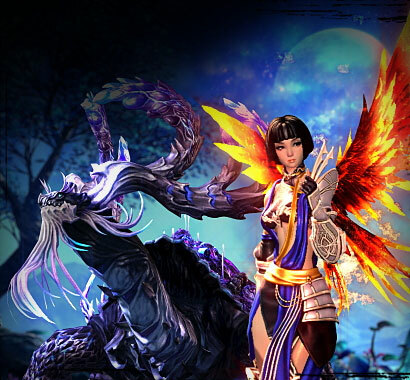 The next major update for Blade & Soul releases December 6. Blade & Soul: Dawn of the Lost Continent arrives December 6, and brings a new continent, Act 8 in the continuing saga, a level cap increase to 55, Hongmoon Ultimate Skills, and a lot more. Visit the overview site for a quick breakdown of the update’s major features. The Snowjade Fortress raid, Starstone Mines and Hollow’s Heart 6-member Heroic dungeons, and Outlaw Island solo Heroic dungeon, all arrive with the update. Continue the epic story of Blade & Soul as you travel to a new land on your quest to reawaken your slumbering apprentice, and rediscover the lost Yun city of Valindria along the way. 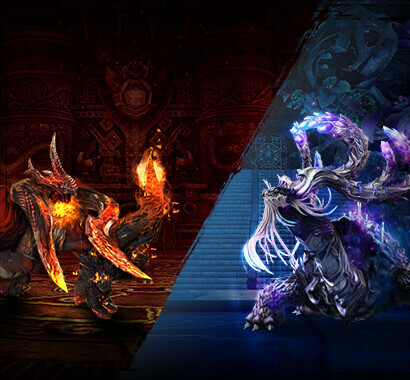 Upon reaching level 55 you’ll gain access to the new and powerful Hongmoon Ultimate Skills. New skills available for each class that can devastate your opponents, and in some cases, aid your allies. A number of new and meaningful systems and changes to existing ones are being introduced with this update. Get ready for the new Showroom, time-based play rewards, new Soul Badges, and a lot more. 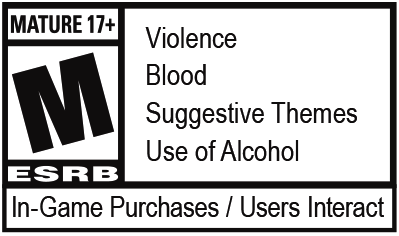 Keep scrolling for the full patch notes, and then click below for some additional context. The holiday season is upon us, and we’re celebrating with winter festivities! Come celebrate the return of the Frozen Vipercap Cavern, and the new Lost Jackpot event. We have a number of new items coming to the Hongmoon Store for this update and the holiday season, including the limited-time Arsenal Chest which gives you a chance to obtain a number of awesome weapon skins. If you run into any issues with this update be sure to check the Known Issues forum thread for things we’re already working on, but if that doesn’t help please contact our support department for further assistance. The Frozen Vipcercap Cavern Event is available from December 6 through January 17. Frozen Vipcercap Cavern is a daily dungeon located in Jadestone Village available to characters level 16 and higher. Complete the Daily Quest “Strike Gold” to receive 3 Frozen Mushroom. Complete the dynamic quest in Frozen Vipercap Cavern to receive Frozen Mushrooms based on how quickly you completed the dungeon. Complete the Daily Challenge to receive 3 Frozen Mushroom. You can obtain 1 Frozen Mushroom per day from the Hongmoon Store for 0 NCoin. Complete Act 8 Chapter 20: Restorations to receive 60 Frozen Mushroom. The Lost Jackpot Event is available from December 6 through January 17. Head to the Hongmoon Store to grab a Lost Jackpot for 0 NCoin. Lost Jackpot can be salvaged once every 10 hours to receive rewards as well as the next stage of Lost Jackpot. Act 8 of the epic quest is now available! Journey westward to the lost continent of Solak to uncover the next chapter of the story! 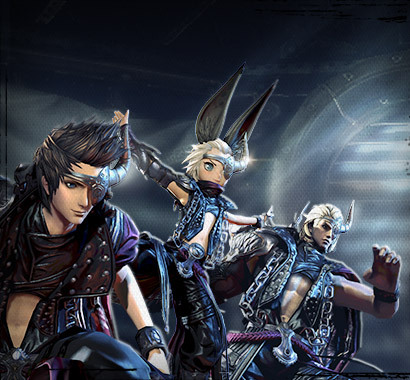 The level cap has been increased to 55 and the Hongmoon level cap has been increased to 25. At level 55 players will unlock Hongmon Ultimate Skills as well as the Hongmoon Focus which is consumed to use Hongmoon Ultimate Skills. Outlaw Island, a solo Heroic dungeon, is now available at Mushin's Hall in Moonwater Plains. Complete Outlaw Island as quickly as possible to earn a spot on the F11 Ranking and receive weekly and seasonal rewards. Hollow's Heart, a 6-member Heroic dungeon available in Normal and Hard Mode, is now available at Everspring Forest in Solak. Starstone Mines, a 6-member Heroic dungeon available in Normal and Hard Mode, is now available at Zasteri Badlands in Solak. Snowjade Fortress, a 12-member weekly Raid, is now available in Gunwon City. Tower of Infinity - Season of Glory will start on December 6. The wardrobe has renamed to the Showroom and has been expanded to store Weapons and Pet Appearances. An active Premium Membership is required to deposit items in the Showroom, but an active membership is not required to withdraw items. Login Rewards are now available. Access this new feature through the menu bar and claim rewards just for being logged in. Players with an active Premium Membership will receive additional rewards. The system resets each day at the same time as daily dungeons (06:00 Server Time). Maximum windwalk can now be increased past the current limit of 20,000 with new windwalking quests. A new chat box will display when characters achieve a specific milestone such as equipment breakthrough or evolution, receive specific rewards from event boxes or the Treasure Trove, or earn specific achievements. You can click on character, item, or achievement links in the window to view more details. You can click on the “See more” button on the chat box to view history. You can now open 5 Treasure Troves at once with 5 pre-purchased keys or instantly purchase 5 keys through the Treasure Trove window. You can only open 5 at once after you use your free daily open. You can hover over the Treasure Trove icon at the top of each list to view a detailed list of the treasures. Treasure Troves with increased rewards will be designated with a red jewel on the Treasure Trove icon. There are no increased rewards or discounts for opening 5 at once. Multiple stacks of items can now be processed at once and with a single progress bar. Press Caps Lock to enable Mouse Toggle Control which will display the mouse cursor without having to hold Alt. Entering combat will cancel Mouse Toggle Control. Mouse Toggle Control cannot be enabled while in combat. Mouse Toggle Control can only be enabled while using B&S Mode and cannot be activated while using Classic Mode. A personal damage meter is now enabled in Normal Mode Heroic Dungeons. No changes will be made to the existing damage meter that shows up in Mushin’s Tower, raids, and Hard Mode Heroic Dungeons. Fixed an issue where the cooldown was not displaying properly on the F hotkey skill slot. Fixed an issue where players were sometimes unable to change skills in the Martial Tome. The 3-piece set effect for Dextrous Soul Shield now also increases the damage of Lightning Flash, Wind Flash, Rolling Typhoon, and Thundering Typhoon by 10%. The 8-piece set effect for Dextrous Soul Shield now increases the damage of Lightning Flash, Wind Flash, Rolling Typhoon, and Thundering Typhoon by 10%, down from 20%. Added information to the tooltip regarding blocked damage being applied to the target affected by Phantom Grip. Fixed an issue where the duration of Electric Surge was not displaying correctly when using Storm Cleave with Transcendence Soul Badge equipped. Fixed an issue where there was a delay before being able to use another skill after using Awakened Mighty Cleave. Added information to the tooltip regarding blocked damage being applied to the target affected by Grab. Fixed an issue where Typhoon (Move 1) could not be used with 10 Focus remaining. Fixed an issue with movement speed and snare resistance applying improperly when using Persistence and parrying with Hurricane (Move 3). Fixed an issue where Persistence could be used while affected by an extended Knockdown status. The 3-piece set effect for Elemental Soul Shield now also reduces the cooldown of Phantom Grip by 25%. The 8-piece set effect for Elemental Soul Shield now reduces the cooldown of Phantom Grip by 25%, down from 50%. Fixed an issue where sometimes only one pistol would display after Windstriding. Fixed an issue where skill tooltips were not being updated properly when equipping Divine Dragon Bracelet Stage 4-10. Fixed an issue where the effect of Shadow Bullet from Dynasty Mystic Badge was weaker than intended. The 3-piece set effect for Sharpshooter Soul Shield now increases the damage of Bullet Storm by 30%, down from 45%. It also now increases the damage of Quickshot and Darkshot by 15%, down from 30%. The 8-piece set effect for Sharpshooter Soul Shield now also increases the damage of Bullet Storm, Quickshot, and Darkshot by 15%. The 3-piece set effect for Stormcaller Soul Shield now increases the damage of Scorched Earth, Killshot, and Bull Rush by 20%, down from 50%. It also now increases the damage of Bullet Storm and Quickshot by 20%. The 8-piece set effect for Stormcaller Soul Shield now increases the damage of Bullet Storm by 60%, down from 80%. It also now increases the damage of Quickshot by 45%, down from 65%. Fixed an issue with eye animations for Yun after using Reload. Fixed an issue where there was a short delay before skills could be used after using Tombstone. Fixed an issue where Shadow attribute Skystone would not consume Focus. Increased additional Shadow damage when using Bullet Storm or Awakened Bullet Storm with between 11 and 39 Focus. Fixed an issue where the status effect duration for Lead Rain was incorrect. Dark Mark now lasts for 10 seconds, up from 6 seconds and grants 150 additional damage, up from 100. Whipline now resists damage and status effects for 0.8 seconds, up from 0.7 seconds. Fixed an issue where there was a short delay before skills could be used after using True shot. Fixed an issue with Shadow Tripshot (Move 2) not applying Joint Attack correctly. Fixed an issue where skill bonuses were incorrectly applied when using Kill Shot or Bull Rush with Tiger Bracelet equipped. Fixed an issue where 5% HP Recovery was not displayed when using Return Fire after Hongmoon Secret Technique Standoff (Move 3). Fixed an issue where Haze Bomb would sometimes not reset Changeup while in Clear Shot state. Fixed an issue where Divine Dragon Bracelet effects would activate on Haze Bomb. Undertaker (Move 1) now decreases Dark Light by 50 on use instead of requiring a successful hit. Fixed an issue where incorrect damage values were shown in the tooltip for Shadow Sure Shot. The Concentration and Unrestrained categories have been removed from the Martial Tome. Fixed an issue where the effect of Divine Dragon Bracelet was not applying correctly to Swift Strike. The 3-piece set effect for Southern Tiger Soul Shield now increases damage of Swift Strike and Tiger Strike by 15%, down from 20%. It also now increases damage of Cyclone Kick and Searing Blow by 25%, down from 35%. The 8-piece set effect for Southern Tiger Soul Shield now increases damage of Smite by 150%, up from 120%. It also now increases damage of Comet Strike by 50%, up from 30%. The 3-piece set effect for Dauntless Soul Shield now increases damage of Swift Strike, Tiger Strike, Cyclone Kick, and Searing Blow by 20%, up from 15%. The 8-piece set effect for Dauntless Soul Shield now also reduces the cooldown of Tremor by 20%. The 3-piece set effect for Pugilist Soul Shield now also increases the damage of Swift Strike, Tiger Strike, Cyclone Kick, and Searing Blow by 15%. The 8-piece set effect for Pugilist Soul Shield now increases the damage of Swift Strike and Tiger Strike by 30%, down from 45%. It also now increases the damage of Cyclone Kick and Searing Blow by 60%, down from 75%. Searing Palm now increases Critical Damage by 5/10/15/20% per stage instead of a flat 10% regardless of stage. Fixed an issue where Snowball (Move 2) would not deal additional Frost Damage to targets affected by Airborne or Frozen. Fixed an issue where Displace (Move 2) was able to apply Airborne status in situations where it should not be possible. Fixed an issue where "Remove debuffs" was missing from the tooltip for Self Defense Chi (Move 2). Fixed an issue where Crouching Tiger would not cast properly when being used immediately after Beckon. Reduced upgrade costs going to Riftwalk and Dawnforged Stage 1-6. Weapon offering requirements for upgrading to Seraph and Baleful Weapon Stage 3-6 have been adjusted to make it easier. The amount of Taikhan's Skin required to upgrade to Baleful and Seraph Weapon Stage 4 has been reduced to 1, down from 3. The amount of Forging Orb required to upgrade to Baleful and Seraph Weapon Stage 7 has been reduced to 1, down from 2. Reduced the upgrade cost of Seraph and Baleful Weapon to Riftwalk, Dawnforged, and Raven Weapons. The droprate of Locked Python, Yeti, and Asura Weapon have been increased. The Glove accessory slot is now available and require Level 55 to equip. Obtain the Quickgrip Gloves from Hollow’s Heart and upgrade them with Yeoharan Gloves from Outlaw Island to obtain the legendary King Gloves which can be upgraded to Stage 10. Hellion Earrings are now available from Starstone Mines. Upgrade them to obtain the Legendary Skypearl Earrings which can be upgraded to Stage 10. The Sky Vault Bracelet is now available from Tower Trader NPC Kangcha in Mushin’s Tower for 20 Mewtineer’s Coin. Upgrade them to obtain the Legendary Subjugator Bracelet which can be upgraded to Stage 10. These new Soul Badges can be combined with existing Soul Badges to create new Legendary Soul Badges: Limitless, Invincible, Ancestral, and Undying. Hongmoon Gilded Triangular Gems can now be created via the Transmutation menu. Hongmoon Hexagonal Amber is now available for 4 Hongmoon Gem Powder from Dragon Express. The amount of Sacred Oil has been decreased for each stage and Aransu Orb is now required for each upgrade. Existing Heroic Accessory drops from pre-Solak content have been replaced with Awakened Heroic Accessory drops. Skill modifiers for the following classes and equipment has been increased. Sacred Longgui Soul Shield, Raven Soul Shield, and Fallen Soul Shield set bonuses now grant additional damage to skills that require Restrain status. The max item stack size has been increased from 1000 to 9999. Sparkling Battlefield Chest has been rebalanced to always provide an Elysian Crystal and less Soulstones. The weekly lockout for Temple of Eluvium, Scion's Keep, Fallen Aransu School, and Snowjade Fortress can now be reset with Aransu Reset. You now receive the choice of Baleful Weapon or Seraph Weapon for completing Act 7 Chapter 1. Increased the amount of Raven Feather and added Raven King’s Soul to Khanda Vihar Chapter 6. You can now purchase Tower of Infinity Ticket – Season of Glory from Tower Trader Gang Chiwon at Mushin’s Tower for 1 Yunsang Prayer Beads or 1 Mewtineer’s Coin.